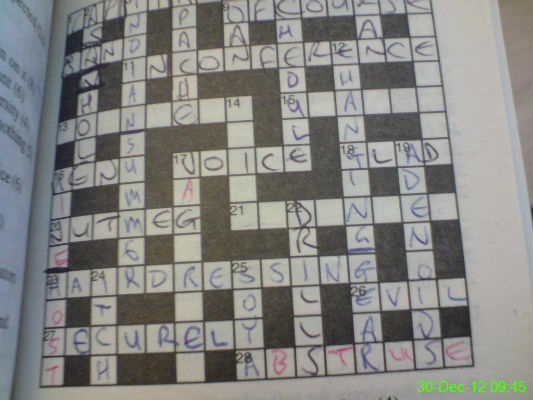 I have several books of cryptic crosswords and one thing I love doing is revisiting one I've half completed. I'm on my 4th different pen for this one so hopefully this time I'll get it finished! 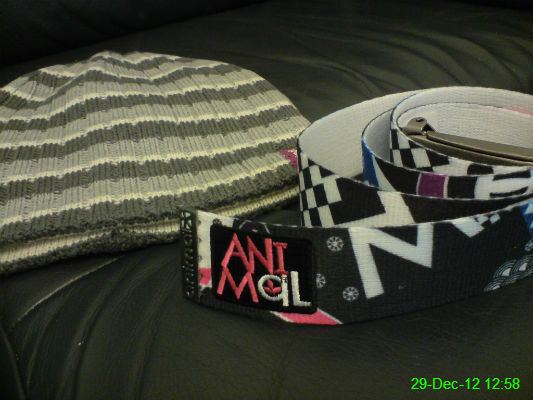 I ordered a new hat and belt with some of my Christmas money and they arrived today. I love the week off work between Christmas and New Year but doing nothing other than eat, drink and watch rubbish TV tends to have me feeling a little stir crazy. 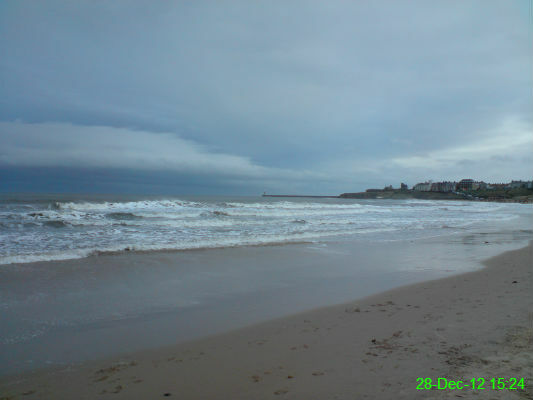 I went for a walk along Longsands at Tynemouth to blow away the cobwebs and stare out to sea for a bit. Although you can't tell from the photo, a lot of people must've had the same idea as the beach was pretty packed. I think it did the trick! 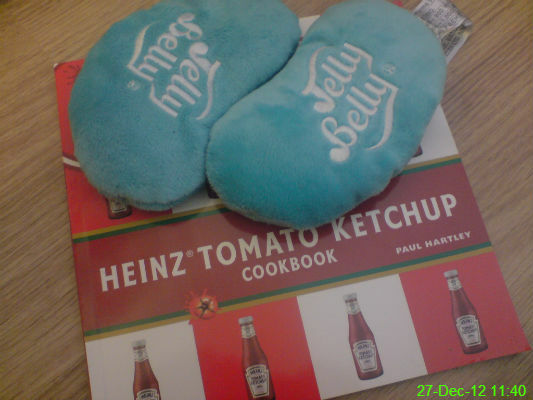 Some of my Christmas presents: Jelly Belly microwaveable handwarmers from my mam and a tomato ketchup cookbook from Nicola. After watching Newcastle lose 4-3 to Manchester United in a game that had me hoping none of our fans had a dodgy heart, there was only one thing to do.. keep drinking. 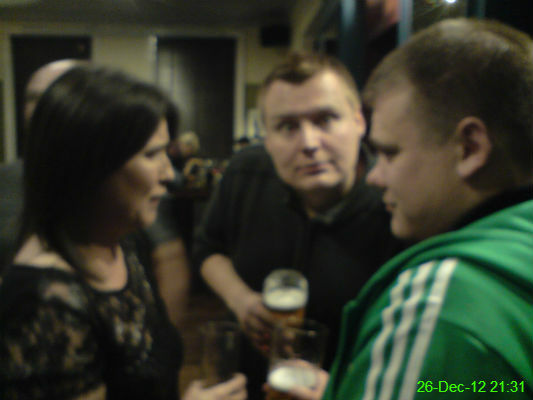 This is Jane, James and Michael at the Station. 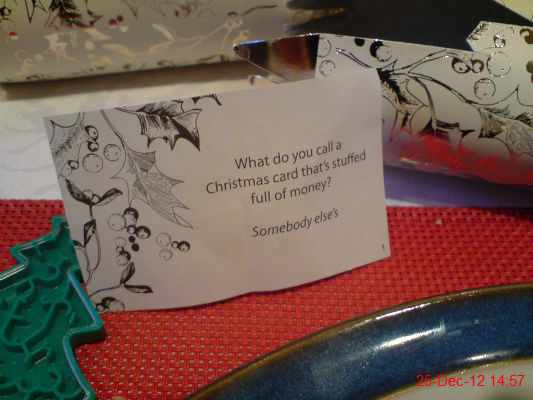 It wouldn't be Christmas Day without a suitably terrible cracker joke. Usually I'd be in the pub on Christmas Eve, but with it raining outside and plenty of nice drinks in the house it seems daft to go out and spend money. 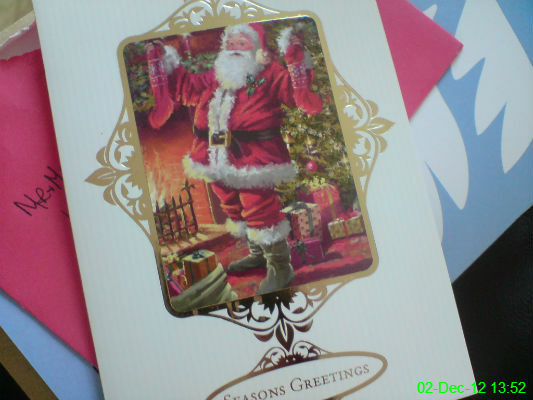 Instead I'm admiring my Christmas cards and watching rubbish telly, and I'm quite content! I don't know what it is about this time of year but I always love chocolate a little bit more than usual. 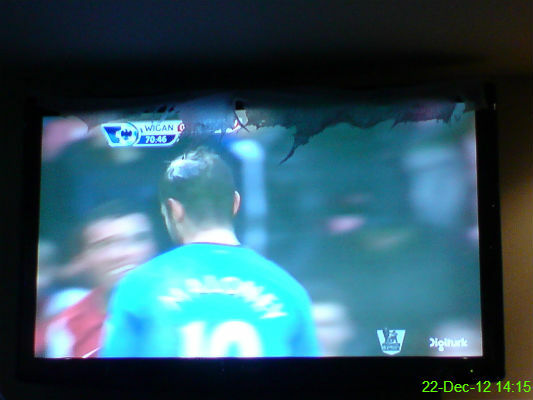 It's a good thing I knew the score of Wigan v Arsenal because I couldn't see it, thanks to the stupid "snow" decoration. Apparently the Mayans predicted that the world would end today. Well, they didn't really, but combined with Michael's birthday this seemed like an excellent reason to have a party. 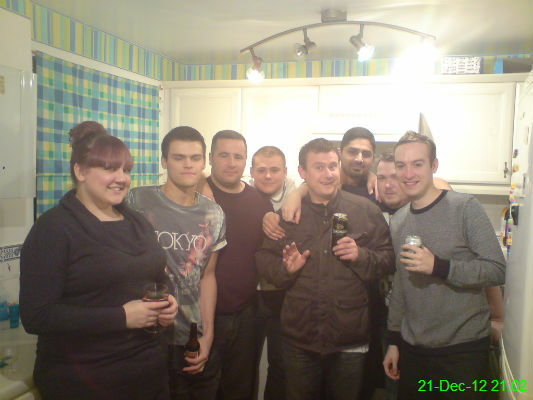 Amongst those in attendence were Ali, Curtis, Mick, Michael, Chris, Mak, Fear and Matt. 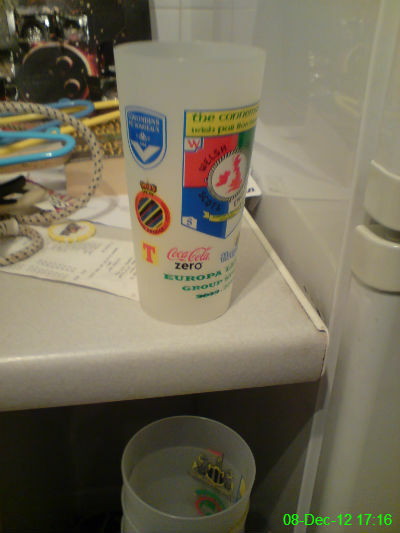 The world didn't end, and eventually I might get the smell of Cherry Sourz out of the kitchen. 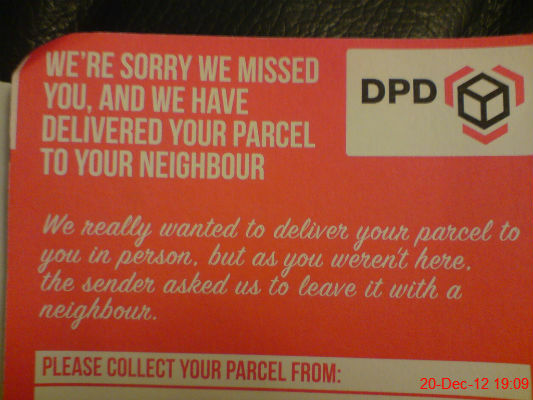 I like to moan about delivery companies as much as the next person, but this time I have no complaints. I ordered something yesterday morning, received a text today with the option to arrange redelivery if the specified time wasn't suitable, and the parcel was dropped off with a neighbour at my request. The neighbour even turned out to be trustworthy. I love a happy ending. 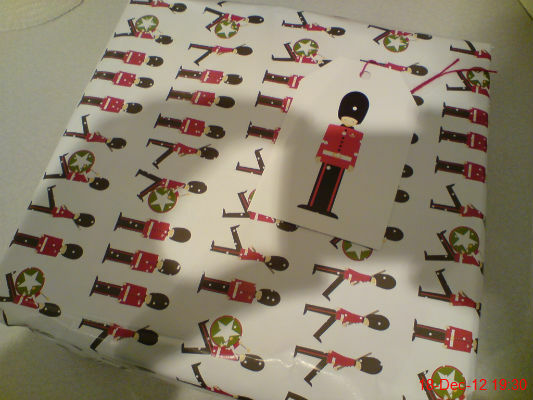 I took a day off work and managed to finish off my Christmas shopping. 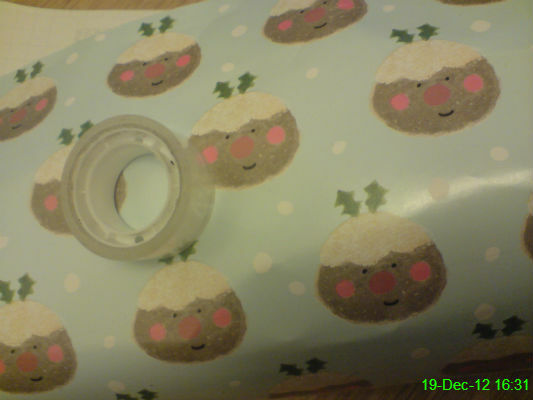 I also wrapped everything in my typical haphazard fashion. It's what's inside that counts.. right? 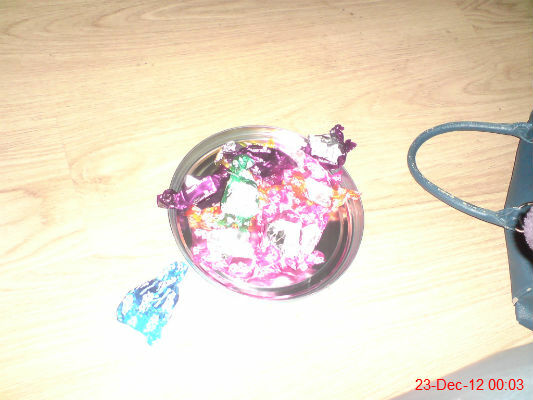 My first Christmas present of 2012, from Nicola. I'll wait patiently to find out what it contains. Roland's mam strikes again! 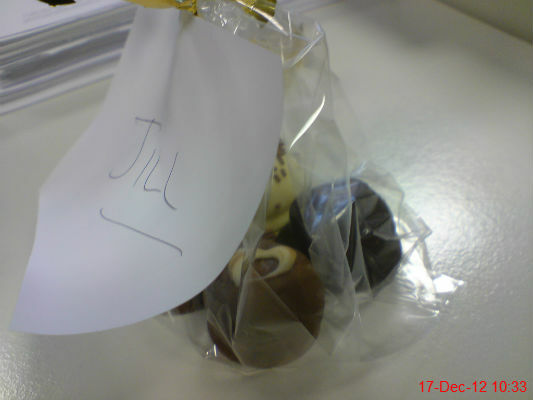 This time it was some lovely homemade chocolates and when I put them in the fridge to stop melting I took the precaution of labelling them so they didn't get mixed up with anyone else's. 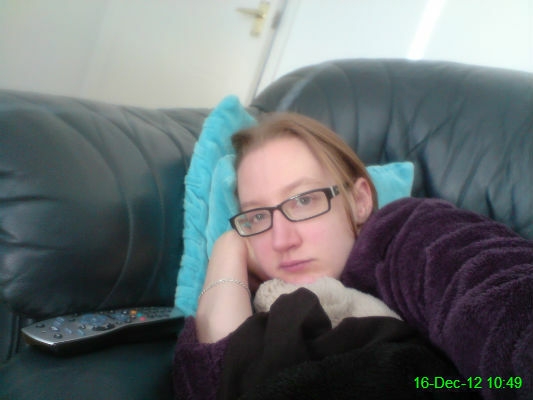 Other than opening the door to receive a takeaway later, I don't intend to move much today. 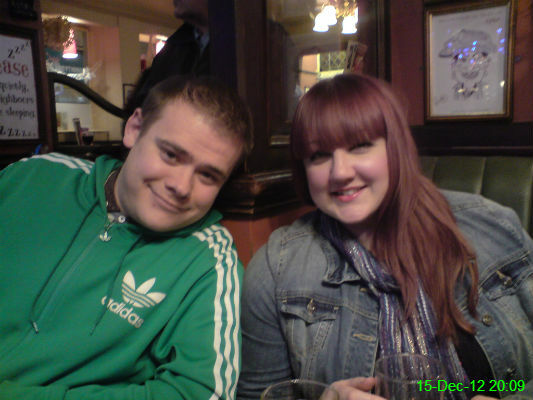 In a cost-cutting measure, our Saturday night drinking took place in some delightfully tacky pubs, including the Black Garter. Michael and Alison were probably the classiest people in there. 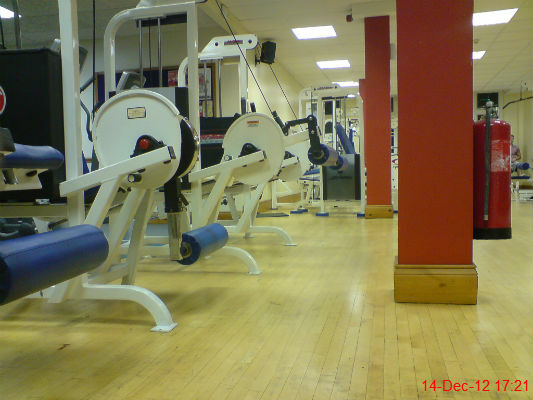 All the cool people spend Fridays in the gym.. at least that's what I tell myself. 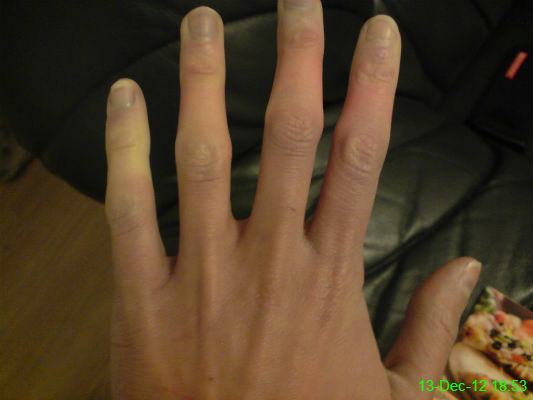 Recently I've been wearing two pairs of gloves so I was very concerned to find my hands were an array of colours when I got home. I also had very little feeling in my fingertips. Maybe it's time for three pairs? This morning I slipped on ice and skidded down a slope. I was surprised not to have injured myself, but on arrival at work I realised why. 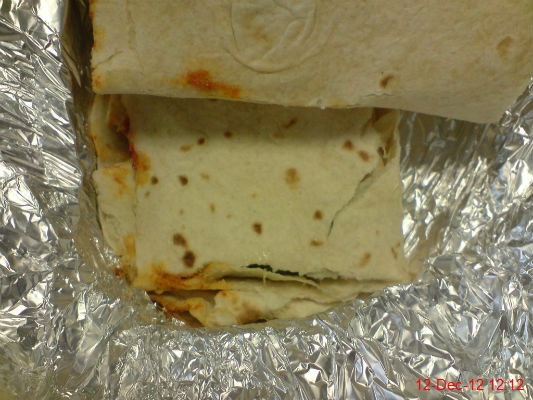 The carrier bag containing my lunch had broken my fall, so it was pretty squashed by the time I got round to eating it. 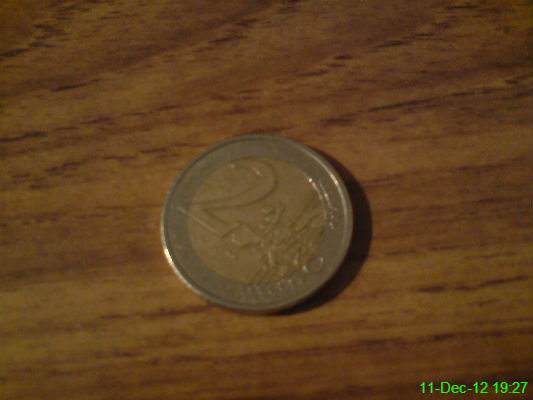 To cheer myself up, I waited until 12.12pm on 12/12/2012 to take the photo, since repetitive dates are pretty rare! As you may be able to tell, it was one of those extremely unexciting days. 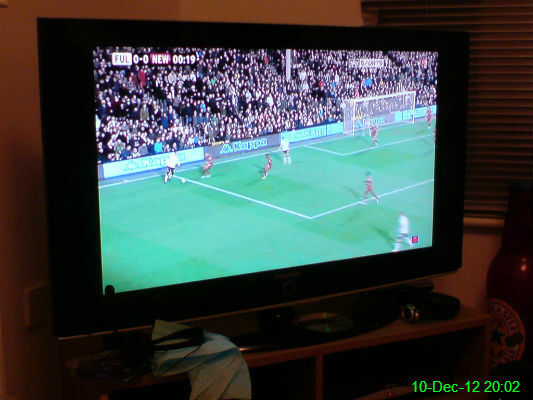 Not my preferred time of the week to be watching football, especially not Newcastle away at Fulham. 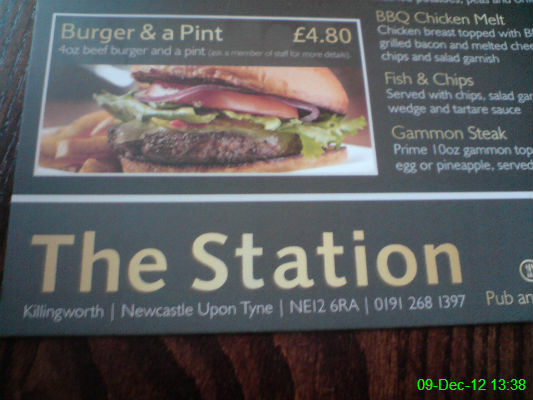 The Station has been refurbished and has a new menu. I've not yet tried anything from it, but I'm sure there'll be an opportunity soon. Michael brought this back from Bordeaux. 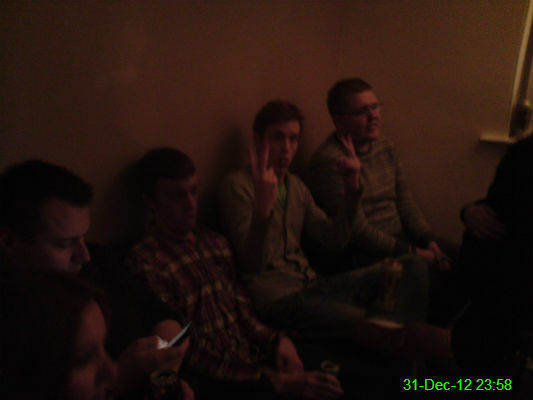 Along with 24 others. You can see at the bottom of the picture how high they are stacked off the floor. Good thing we're having a party in a few weeks and they'll be put to good use! 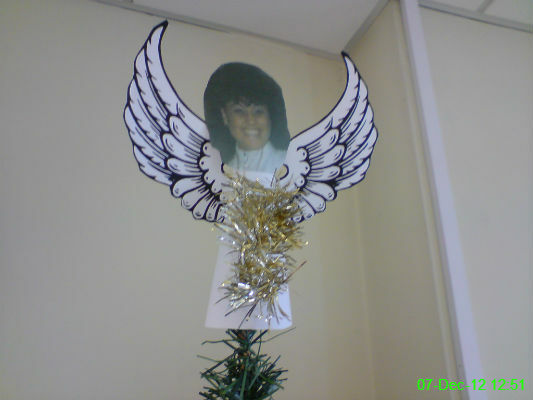 This year Debs is our Christmas angel! In accordance with tradition, she's sporting an extremely large hairdo. 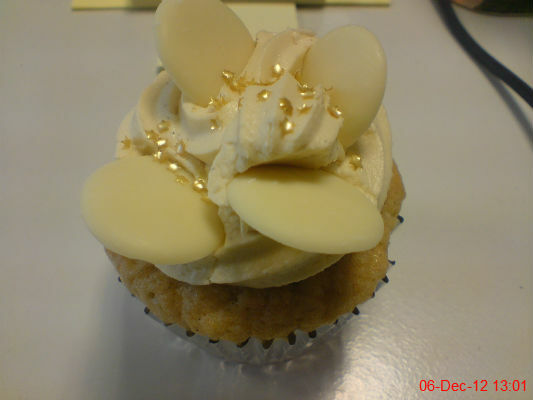 I don't normally partake in treats at work but the choice between a banana and one of Roland's mam's white chocolate cupcakes was a pretty straightforward decision. It was absolutely gorgeous! Unfortunately, I now have the nasty looking banana for tomorrow. 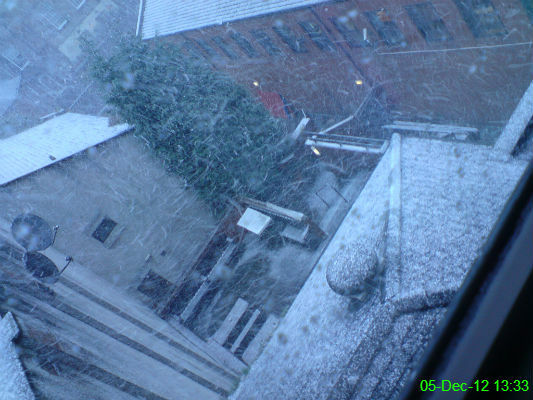 The view from my office of the snow which has been falling on and off all day. 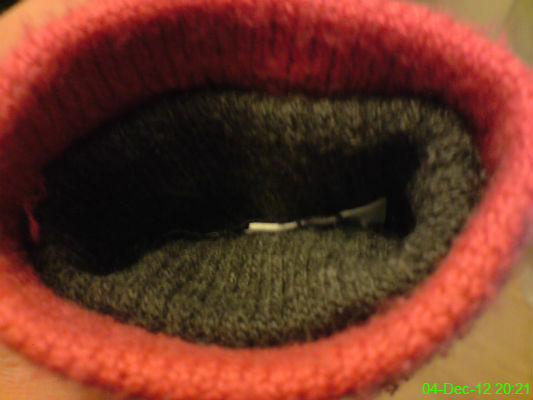 A solution to my extremely cold hands. 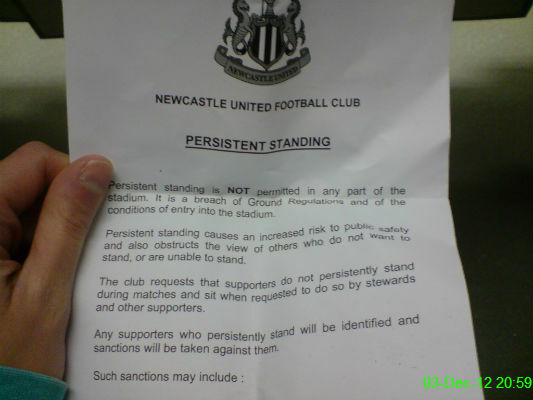 Apparently this is a problem around where we sit in the South East Corner, as these leaflets were on all of the seats prior to kick off against Wigan. 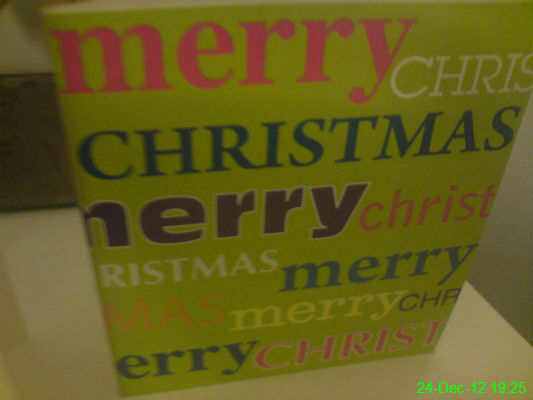 Our first Christmas card of 2012, from Norma, John & Foss (the dog). Behind door number one was a trivia question and a chocolate snowman. 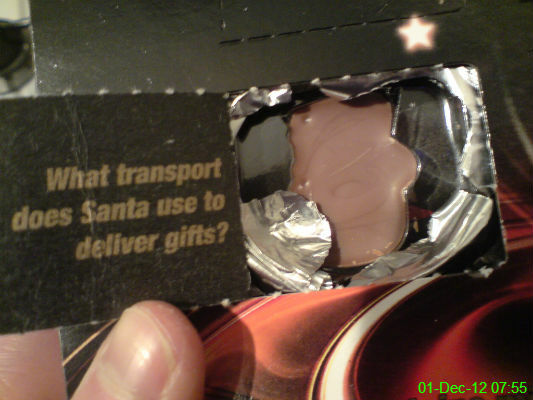 The answer was sleigh, in case you're struggling.